In my last blog, I talked about 5 hallmarks of being an adult with undiagnosed or misunderstood dyslexia. In my youth and well into adulthood, I knew I was dyslexic, but it was just a label, nothing more. I was ignorant about dyslexia and its many implications. When I met my wife and we got married, she also knew very little about dyslexia. Early in our marriage, she had certain expectations of me and what I should be able to do that I could not meet. These difficulties added undue stress to our early lives together, but read on to see how we resolved our issues. We’ve now been happily married for 36 years. My wife and I had completely opposite experiences with our early education. I struggled to make it through each day in school, spending two years in the first grade. My wife, on the other hand, read words by age 2 and chapter books by age 5. She spent 2 weeks in first grade and then moved to second grade. How did our different backgrounds, perspectives, and lack of understanding about dyslexia affect our early relationship? I invited my wife to share her perspective on what it was like living with a misunderstood dyslexic and what she has learned in the process. Elizabeth: I come from a long line of avid readers. My dad had an eidetic (sometimes called photographic) memory, and I had a near-eidetic memory when younger. My mom read a book a day for years. Our home was filled with library books and classical music. My sister and I were nearly always with adults. We both took accelerated classes as well, and these two factors, I believe, were what limited my awareness of learning differences. I was simply never around anyone who had such a thing! Things like dyslexia, ADD, or sensory processing issues weren’t even a blip on my radar. And this lack of awareness and understanding played a huge role in the early years of marriage. When Don and I met, we had the most wonderful conversations. Don is an idea person with a seemingly limitless imagination, and I was smitten. We married within a year. Then the challenges began! Once we shared a home and life full-time, I saw challenges to his functionality that I just couldn’t reconcile with the intelligence and keen wit I had observed during our courtship. Not understanding dyslexia, I leaped to all the wrong conclusions. As most humans are inclined to do, we judge things by our own experiences, and I did the same. Since I felt I would have had to be ‘checked out’ to be doing the things Don was doing, I assumed that he didn’t really care about things, or listen to me, or have very good stress management skills. I don’t know if it is possible to do everything wrong in a situation like this, but I must have come close. My inexperienced, ineffective style of communication (critical, puzzled, angry, hurt, or resentful) was precisely the wrong way to accomplish my goal: that of having a happy home and life together. I felt disappointed in him, and communicated that to him, rather than asking myself what I could do to help. For example, I knew that Don began technical school at age 15, so I reasoned that he would be ambitious and get a job commensurate with his intellect. I couldn’t understand why he didn’t want to earn more, achieve more, and make a name for himself. After all, his visionary, creative brain had really impressed me, and I wanted other people to appreciate him! I’m sure my remarks during these years felt demoralizing to him, rather than motivational. We were both frustrated, and our lack of understanding about dyslexia resulted in both of us feeling less loved and appreciated than we really were. Once again, my limited awareness of learning differences shaped my response to the situation. My perspective shifted as I studied biochemistry and brain chemistry and behavior. Science and imaging had advanced to the point that we could see structural, heat, and blood flow differences in those who learned differently or who struggled with different types of anxiety or mood disorders. This was when my epiphany began—with the discovery that chemistry, brain structure, and imbalances in neurotransmitters profoundly affect behavior, stress response, and speed of performance. I was humbled by the fact that all the things I had been ascribing to character weren’t matters of character at all! There were all these other variables at play. These factors, unbeknownst to me or Don, were responsible, at least in part, for the perceived ‘gap’ between his intelligence and the length of time and effort it took him to do many tasks. There was still so much that we didn’t understand, but I had learned enough to be kinder, more supportive, and much more patient, just from knowing that our brains learned and worked very differently. We did our best to utilize this new information, and our relationship was much better for it. But neither of us had an inkling about the fact that learning more about dyslexia was the key to having our best life together and especially to Don discovering his potential. Fast forward to 2012. The biggest epiphany for both of us took place at an early screening of the documentary, “The Big Picture: Rethinking Dyslexia.” This movie changed both our lives, and I’ll be forever grateful. Neither of us had ever seen such a comprehensive, succinct description of the diverse elements of dyslexic life. Don was agog (for days! ), and I was stunned by the implications. The information shared by the dyslexic participants as well as the erudite faculty of Yale University Center for Dyslexia and Creativity helped both of us make sense of all the little incongruities. We finally had answers, and we knew what to do moving forward. Don understood himself and his life in a way he never imagined, and my compassion for him soared. If your friend, family member, or significant other has dyslexia, what can you do to make daily life better and easier for everyone? Here are a few tips I’ve learned along the way. Remember that dyslexia means that information can only be processed so fast. Just as in the days of downloading over a dial-up internet, when the buffer is full, nothing else will be heard or remembered until some space clears in the buffer. Now I realize that if my husband is focused on something, his buffer is full and he can’t easily shift his attention from what’s on his mind to what I’m saying. Therefore, I’ve changed the way I communicate with him. I respect his space and processing time. Realize how hard a dyslexic person is always working. When you are dyslexic, it takes you longer to do things that other people might do quickly. Respect that difference and give the dyslexics in your life praise for their hard work. Knowing that my husband is putting forth heroic efforts to write, come up with story ideas, balance the checkbook, you name it, makes me appreciate all he does. He’s such a hard worker! I’ve always known that, but now I have a better sense of the effort that’s involved in accomplishing things with dyslexia. 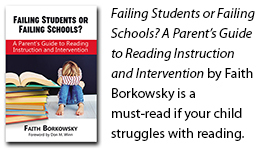 Minimize the demands on a dyslexic person’s resources. Sequencing challenges mean that some dyslexics have trouble remembering lists or a series of instructions. When my husband and I are working on a project, we focus on one step at a time. The same thing works when we’re in the car together: I point left or right as needed, and his favorite present (ever!) is a handheld navigational device that calls out directions turn by turn. I also make a real effort not to interrupt him. With the sequencing challenges of dyslexia, it’s easy for him to lose his train of thought, and that’s needlessly frustrating. Recognize that dyslexia is a thief of time. It takes a dyslexic person a long time to read. So I make myself available to help when there’s a lot more to read than time allows for. When there’s a lot of print material to cover, I may read the material myself and then send him an email with a few bullet points. He loves bullet points! Just the facts, ma’am! Make socializing more enjoyable. I now understand why my husband prefers socializing with smaller groups rather than big parties or crowds with dozens of conversations going on at once. It’s that ”full-buffer” effect again. By understanding this limitation, we can structure events in a way to optimize joy and connection and minimize stress. When learning something new, engage all the senses. The “full buffer” effect is also the reason why sitting through long, monotonous (non-engaging) lectures is stressful and fatiguing for my husband. Dyslexics compensate for the limitations of their mental buffer by engaging their other senses during learning experiences. Visual aids and opportunities to engage kinesthetically, either through touch or through being able to move about make a huge difference in how much he benefits from a lecture or class. Appreciate a dyslexic person’s strengths. I’ve discovered that nobody has better ideas than a dyslexic. They are conceptualizers and administrators, who need a team to help support and implement their ideas. This is one of my husband’s greatest strengths, not a limitation. When he can focus his energies on what he’s best at, and delegate the details and implementation to people who are good at those tasks, it’s as good as it gets. Understanding these things frees up so much energy and reduces so many frustrations that my husband is able to do more than he ever thought possible. The resulting sense of fulfillment and accomplishment for him is priceless. But I feel even more blessed, because now that we’re doing things smarter, the world is recognizing how creative and imaginative he is, and that makes me very happy! My takeaway for spouses, parents, and children of dyslexics is: watch the documentary together. Learn about what your loved one goes through just to show up for life every day. Listen to them as they reveal which of the experiences in the movie resonated with them the most. Put yourself in their shoes. Figure out what you can do as a team to maximize each other’s strengths, and be there for each other. Their potential will astound you! Any recommendations for a steel measuring tape for a dyslexic adult? Janet, Sorry, I’m not aware of any kind of steel measuring tape for a dyslexic adult. Have tried doing a Google search?